Кипко Т.В. «Мастерицы, чум-работницы», 2017 год. In February artists from Yamal Andrey Vakhrushev, Tatiana Kipko, Sergey Alyaba, Ivan Savitskiy and Alexander Sotruyev will participate in all-Russian exhibition “Russia” in Moscow. 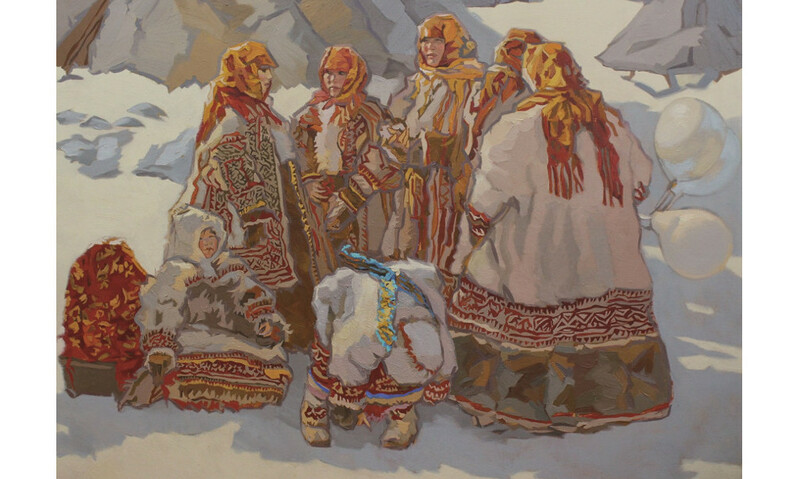 They will present their art-works made in different techniques: painting, graphics and decorative-applied art united with themes of Yamal. According to the information given to a correspondent of the news agency “Sever-Press” in the regional house of crafts, earlier their art-works were exhibited at the exposition “The Big Ural”, where the best artists of Ural Federal Okrug competed for the right to participate in such large-scale project. The exhibition project “Russia-13” is special for artists: in 2019 it will be 55 years since the time, when zonal art exhibitions, which brought up more than one generation of masters of painting, sculpture and graphics, began their legendary march. It is possible to see the pictures here.